In another look back at the WRCC archives, we feature an article from 1987 that questions the impact of the building of the M40 motorway. “What Price the M40?” asked WRCC’s Country Matters magazine in Autumn 1987. 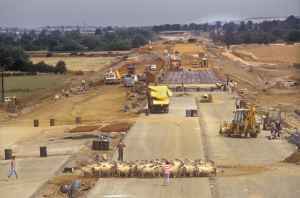 Construction to extend the motorway from Oxford to Birmingham was just beginning and the author considered the pros and cons to Warwickshire rural communities. Undoubtably, the motorway has resulted in economic growth for the county, but at what price? The concerns at the time about noise, pollution and visual impact have been keenly felt. 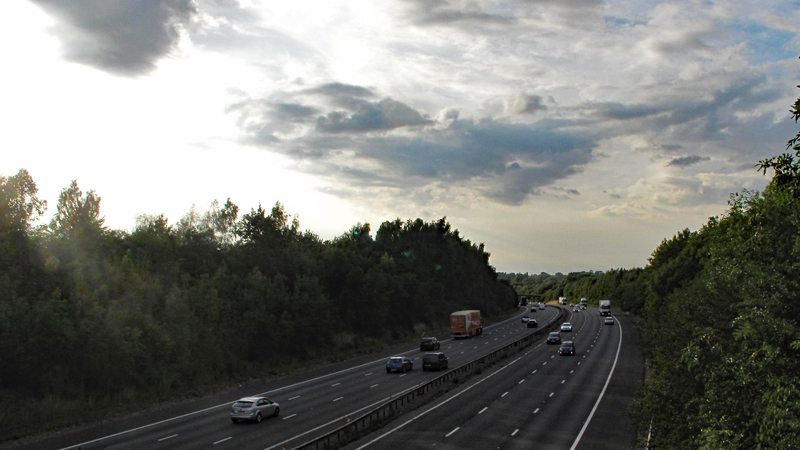 30 years ago, an argument was made that the motorway would reduce traffic congestion in Henley, Shipston and Stratford – tell this to any resident of these communities now! M40 Motorway Banbury Oxfordshire section farmer takes his sheep across road farmland cut in half. HOMER SYKES. Image shot 1980. Exact date unknown. 300 residents of Barford had demonstrated against the motorway, bringing the main road through the village to a standstill. 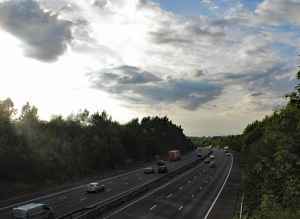 Perhaps they could foresee the resulting development, increased traffic and ultimately, the building of the Barford bypass. But who could have envisaged the 75,000 vehicles per day using the nearby Junction 15, requiring a £70m+ junction improvement scheme completed in 2010? The article described the increase in local house prices experienced in anticipation of the motorway’s completion. Concern was expressed about the effect of the rising cost of housing on rural communities, particularly on young people unable to afford to live in rural communities. This issue remains at the heart of concerns about village sustainability.